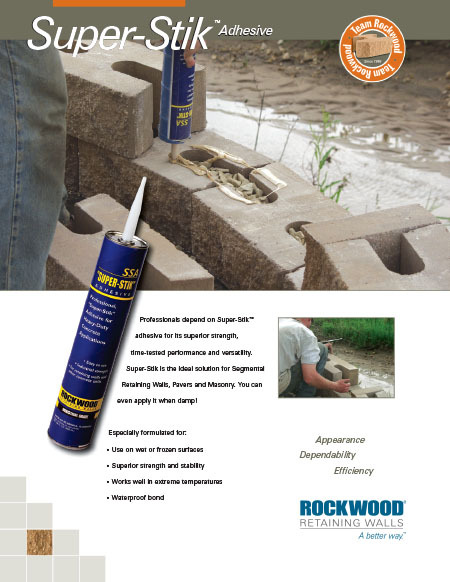 Classic® 8 is the high performance block preferred by architects, builders, developers, and engineers worldwide. 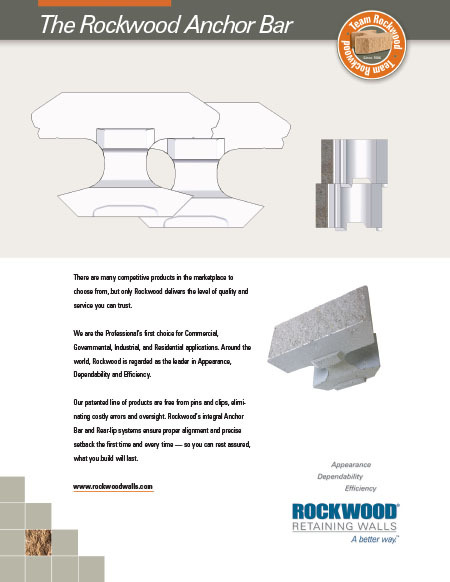 It is known for its ease of installation, strength, and versatility. Classic 8 provides extra support for the most critical applications. 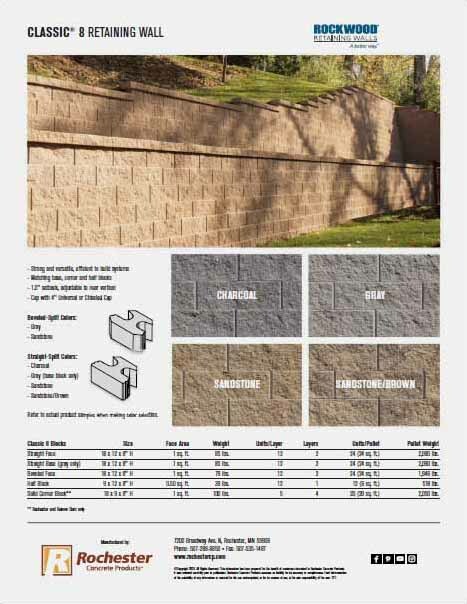 Whether the wall is supporting a retail development or backyard sanctuary, Classic 8 is the best solution for any type of retaining wall application. The number "8" after the product name refers to the height of the block in inches. This helps to differentiate between the two types, Classic 6 and Classic 8. Straight Face 18 x 12 x 8" H 1 sq. ft. 85 lbs. 12 2 24 24 sq. ft. 2,090 lbs. (Base Block) 18 x 12 x 8" H 1 sq. ft. 85 lbs. 12 2 24 24 sq. ft. 2,090 lbs. Beveled Face 18 x 12 x 8" H 1 sq. ft. 79 lbs. 12 2 24 24 sq. ft. 1,946 lbs. (Base Block) 18 x 12 x 8" H 1 sq. ft. 79 lbs. 12 2 24 24 sq. ft. 1,946 lbs. Corner Block 13 x 5.50 x 8" H 0.72 sq. ft. 40 lbs. 12 1 12 8.64 sq. ft. 530 lbs. Available by layer or pallet.